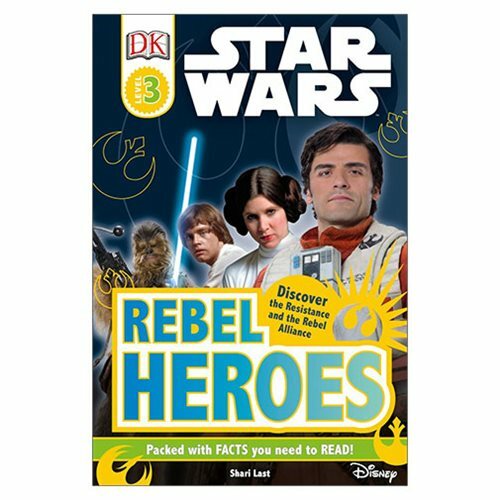 Join the Rebel Alliance and Resistance with the Star Wars Rebel Heroes DK Readers 3 Hardcover Book. Young readers will learn about the most daring rebels and members of the Resistance in the Star Wars galaxy, including Poe Dameron, Princess Leia, Rey, Han Solo, Luke Skywalker, Ezra Bridger, and more! The 64 page book measures about 9 3/10-inches tall x 6 1/5-inches wide.